Photo Caption A: Berkeley College celebrates the induction of 73 students into the New Jersey and New York chapters of the National Society of Leadership and Success during a ceremony held at the Venetian in Garfield, NJ, on January 17, 2018. 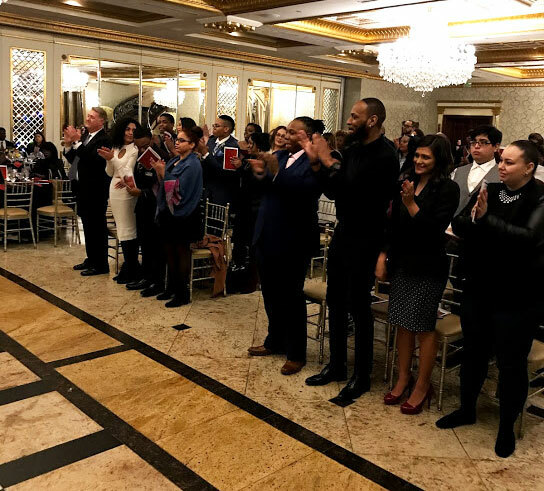 Berkeley College celebrated the induction of its fourth cohort of students into the New Jersey and New York chapters of the National Society of Leadership and Success (NSLS) during a ceremony held at the Venetian in Garfield, NJ, on January 17, 2018. 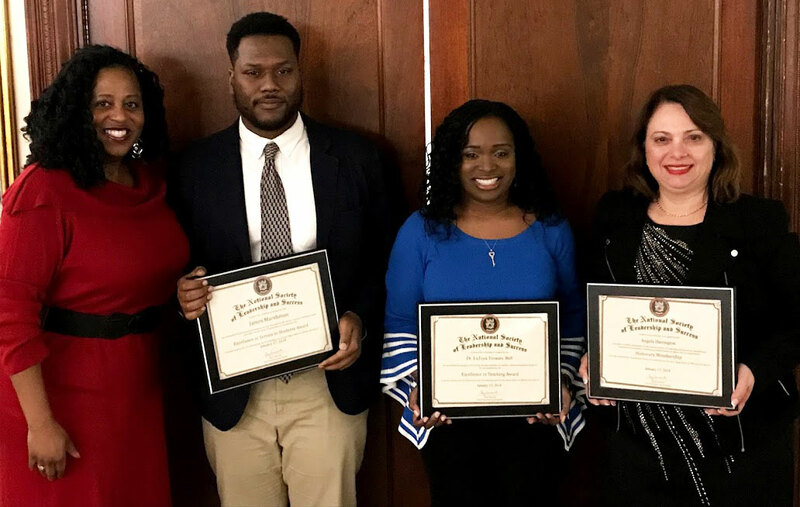 Students are selected for membership to the NSLS, the nation’s largest leadership honor society, by their colleges based on either academic standing or leadership potential. During the ceremony, 73 students were inducted into the Berkeley College New Jersey and New York chapters. Rosina Strauss of Port Monmouth in Monmouth County, NJ, was among the students inducted into the NSLS. The evening also recognized three members of the Berkeley College community who have made significant contributions to the academic success of Berkeley College students. LaToya Trowers-Bell, EdD, Chair, Health Services Administration, Berkeley College Larry L. Luing School of Business®, received the Excellence in Teaching Award. James Marshmon, Student Success Coordinator, Berkeley College in Newark, NJ, received the Excellence in Service to Students Award. Angela Harrington, Vice President, Communications and External Relations, Berkeley College, received Honorary Membership in the Society. Candidacy to the NSLS is a nationally recognized achievement of honorable distinction. The organization hosts live-streamed speaker events, allowing members to hear from and interact with national leaders, celebrities and best-selling authors such as Arianna Huffington, Carly Fiorina and Rudy Giuliani. Click here to learn more about the NSLS. Photo Caption B: Dallas Reed, PhD, Vice President, Student Development and Campus Life (far left), presents members from the Berkeley College community with honors during the National Society of Leadership and Success induction ceremony held at the Venetian in Garfield, NJ, on January 17, 2018. Pictured above (L to R) are James Marshmon, Student Success Coordinator, Berkeley College in Newark, NJ; LaToya Trowers-Bell, EdD, Chair, Health Services Administration, Berkeley College Larry L. Luing School of Business®; and Angela Harrington, Vice President, Communications and External Relations.